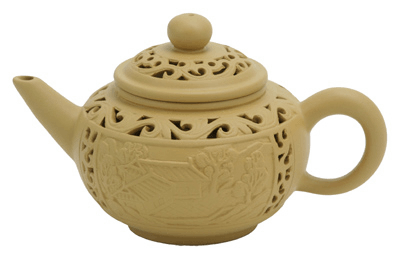 Russian Caravan is a blend of lapsang souchong with assam black tea. Lapsang souchong tea leaves are dried in bamboo baskets over pine fires. 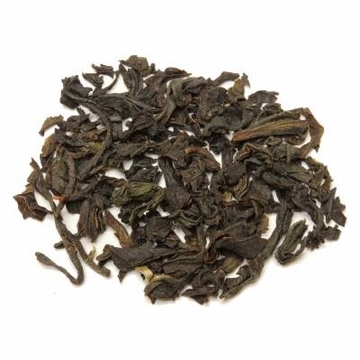 The Russian Caravan is a medium strong tea that has a smoky aroma and a hint of malt flavor. This tea is perfect for dinner parties. Historically, the Russian Caravan tea was the most important drink after vodka in Russia. During the time of the Czars, chest of tea would travel on camel back from China to Moscow. This tea was famous for the smoky smell of the campfire it would absorb along the journey. For years I drank Russian Caravan tea from Peetâ€™s. In the course of their selling themselves to a large company they eliminated many of their teas and lost me as a customer. I started purchasing â€˜Russian Caravanâ€™ from Enjoying Tea at that time and have been very happy with this tea. Russian Caravan has a smoky flavor, but not overwhelmingly smoky like Lapsang. My understanding is it is a blend of Assam, Lapsang, and other black teas. I love this tea for a change in the everyday ordinary. It has a lovely smoky flavor but is not overpowering like 100% Lapsang Souchong. If you have not tried it, give it a whirl! Excellent tea. Love the milder smokey flavor. Will definitely reorder! Whew! This is really robust, smoky, very strong. This one doesn't hold back anything. If you like a good strong tea, this is for you. Arrived on time, well packaged, upon opening I got that nice smoky aroma that Russian Caravan tea is noted for. I like to steep it for 3 minutes after pouring in boiling water and pouring it out again, then pouring in water just below boiling. I really like this tea. I have loved Russian caravan since i had it in a tea room in Savannah. Yours is the only place i can find it now. This is a great value for Russian Caravan. I drink smokey Scotch, and love smokey tea. This is my everyday tea, once I've had my morning coffee. This is excellent tea, full bodied, with a nice aroma. It is also well packaged. I bought this tea because of the name; it conjured up visions of sharing tea by the fire after an arduous day of trekking. When I first opened the bag, it smelled like a campfire and was overpowering. The first few cups were a little tentative but now, having made peace, it's one of my favorites. Definitely an acquired taste but worth the journey. This tea is very robust and flavorful. Perfect for hot tea in the winter and exceptional for iced tea in the summer. This is our favorite tea, putting breakfast teas and earl greys off the raar for us. 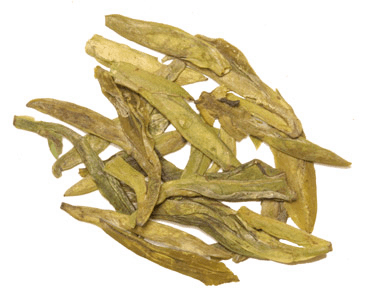 This tea has a strong personality -- rich, smoky and assertive. I love this tea, but not a single one of my friends so far like it as much as I do. Do not over brew, as the tea quickly becomes bitter. This is tea for those who love a very strong, smoky flavor. Love the tea and the teapot, everything I was hoping to be and more!!! hoping for a little more smoke. Absolutely love lapsong souchang tea so thought this would be good to try. A lovely, well-balanced tea but not quite enough of the smoke I seek. I enjoy the smokey flavor of the Russian Caravan Tea. Lovely in the late afternoon or evening. this is a mix of regular black tea and the smoky-- to say the least--lapsang souchong which is definitely an acquired taste. now i can, in one caddy, have a black teas i enjoy and can share. Taste preferences are very diverse. I thought this would be a great tea after seeing it mentioned in a spy story as the best tea in Russia. It is a strong black tea. 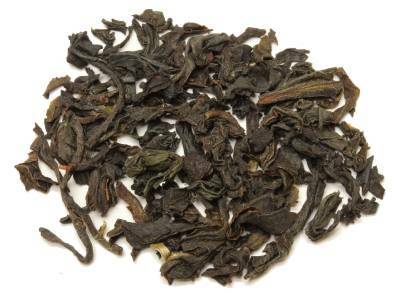 However, this tea is smoked, which gives it a special and a very strong taste not typical for most teas. Some may find it great but not me or my family members. And it is definitely not typical for Russian teas. not the best tasting tea, but good enough to drink every day. I have been drinking RC tea for about 20 years (back when Twinings sold it in the States in tins). Most US blends are just way too smoky for me. This blend is perfect! I have had many converts to RC when they have tried this blend. Had to search for this tea but it was well worth the effort. It has a lovely smoky flavor, a hearty tea perfect to add to your comfort food list. My Mom and Dad don't like it and tease me and call it ham tea, but i love this tea, probably my favorite black tea. I'm actually drinking a cup right now and it's very smooth smokey and super good! I have been searching for a Russian Caravan tea that was like a local coffee shop used to get. (They don't have it anymore as they only sell fair trade products now.) This doesn't taste like the one I was used to, but it's alright. Like others have said, it is smoky; quite smoky. I wasn't sure I'd like it, the aroma put me off, but I'm becoming accustomed to it. It is interesting and different. I'm slowly learning to try varied teas (although I'll probably never learn to like the fruit-based teas). Not for everyone, but I LOVE it! Lower water temps, higher water temps, I love it all the same. This tea has personality and I adore it. Not one of my friends or family can stand the smell of it, but who doesn't love a campfire? Actually, it only smells smokey. The taste is more like a puehr or black tea. This gives it multiple levels which make it really interesting. The longer your cup of tea sits, the more the smokey aroma dissipates too. So if it's too smokey for you immediately after brewing, just give it a few minutes or blow on the surface gently to cool it before sipping. Again, I love it, so I do nothing to lose that wonderful aroma. This tea is a great comfort to me, makes me feel warm and happy inside. I felt this one was slightly better (only very slightly though) than the Russian Caravan tea also available here. This one and Lapsang Souchong are teas that taste MUCH better when brewed by using water well below boiling. Around 80 - 85 Centigrades (180 - 190F) and you'll find the taste very mellow and pleasant without the tarred rope flavour that come with higher temperatures. Maybe an acquired taste, but when you get the knack of brewing this one and the Lapsang Souchong you'll really have something to look forward to! This tea really changed how I drink tea. I drink about 3 to 6 cups of tea a day and I really like a variety of tea. This is a really strong different tea. It is very smokey and robust. The first couple of drinks are strong and shocking but after that your taste buds mellow and it is a wonderful taste. I recommend everyone trying this tea at least once. This tea is smokey. Like, really really smokey. If you like that sort of tea this is for you. Otherwise it is too overpowering. Mine has sat in the cabinet for almost a year now, I keep it for conversation.